Johnson City isn’t a total misnomer; it’s only half of one. Though named, indeed, for an uncle of President Lyndon Baines Johnson, it’s far less a city than a town. With a population of 1,656, it sits quietly in the Pedernales Valley of the Texas Hill Country, 48 miles west of Austin and one mile south of the river itself. Just east of town square, at the junction of highways 281 and 290, Hill Country Cupboard does its dangdest to fit big ideas of Texas by boasting it’s the “Home of the World’s Best Chicken-Fried Steak.” Half a mile west, and just north of LBJ’s boyhood home, a couple of contemporary galleries do their best to dispel those Lone Star stereotypes. Johnson City, as you can see, straddles that persistent line between yesterday and tomorrow, one archival and the other dreamed of. Poised at the edge of the burgeoning Texas wine country, it features on one local menu an Asian-glazed pork loin with pork belly pineapple fried rice and, on another, a heapin’ helpin’ of mashed potatoes with cream gravy. The restaurants are 30 seconds, and many decades, apart. As you approach town from the south, you see a small wooden billboard. Weathered by now, but only a bit, it features a white background and maroon letters that read, “2011 Baseball State Champs.” Yep, eight seasons back, the maroon-clad LBJ Eagles defeated the Blue Ridge Tigers, 7-2, to claim the Class 1A baseball crown. To some, it might have seemed fitting that a school named for LBJ won a baseball title. LBJ himself had some experience in the sport. 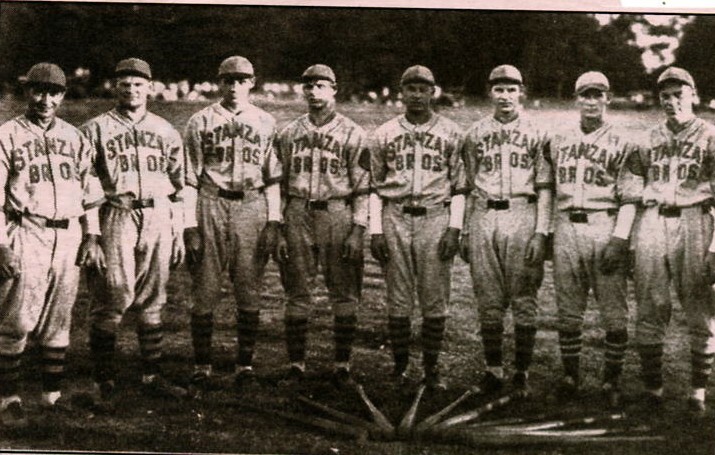 In the 1910s and ’20s, the gangly right-hander played sandlot and amateur ball in and around Johnson City. Years ago, I met an elderly man in nearby Hye who, as a teen, played on a 10-person team with Johnson. He said the future 36th president was all glove, no stick. As president, Johnson continued his connection to the American Pastime by throwing out the ceremonial first pitch on three occasions, each prior to a Senators game in Washington, D.C. On April 9, 1965, in Houston, he officially dedicated the Astrodome prior to an exhibition game between the Astros and the Yankees. In that contest, an aging Mickey Mantle notched the Astrodome’s first hit, a single, and first home run, a drive beyond the 406-foot sign in center field. Alert to the almost surreal nature of the occasion — when baseball’s most iconic player, wearing its most iconic uniform, had christened its most futuristic venue with a blast from his past — the 48,000 fans roared. It must have echoed inside that dome. In the bottom of the 12th inning, with the score knotted at 1-1 and Jimmy Wynn on second base, Astros manager Lum Harris called on 37-year-old Nellie Fox to pinch hit. Fox had been the starting second baseman for the Colt .45s in 1964, but in spring training of 1965, after the good ol’ Colt .45s had become the space-age Astros, Fox had lost his starting job to 20-year-old dynamo Joe Morgan. The future was now. The at-bat, though, was here. Grabbing lumber, the old Fox stepped in and slapped a pitch from Pete Mikkelsen over the glove of shortstop Tony Kubek to drive home Wynn with the winning run. It was Fox’s last hurrah, more or less. He would play 21 games for the Astros that season, collecting 11 hits in 41 at-bats, before the Astros released him on July 31. Still, that hurrah must have echoed inside that dome. Today, some 210 miles northwest of the Astrodome, Johnson City seems another hurrah just waiting to happen. With its singular history in baseball, and its position at the vanguard of a viticultural movement, the town appears poised for the sort of economic investment that, according to one inside source, Kirk Gibson is making. The 1988 National League MVP and World Series hero — “Talk about a roll of the dice … She is GONE!” — intends to open a batting cage inside the city limits. At present, there’s no mention of its name: LBJ Battin’ Practice ’N More? D. Eckersley Commemorative Cages? Double Fist Pump Homer Emporium & Gift Shop? “inside source.” Mind you, the info came the old-fashioned way. It didn’t come on Twitter or Facebook. It didn’t come in a weird email from my crazy uncle. Instead, it came the way that Frankenstein came to Mary Shelley, that Yesterday came to Paul McCartney, that both Dr. Jekyll and Mr. Hyde came to Robert Louis Stevenson. That’s right: It was all — say it with me — a dream. My dream. I won’t forget it. Google “baseball dreams” and you get one of two things: inspirational (though occasionally cautionary) tales of young players ignoring exceptionally stacked odds to pursue their monomaniacal ambitions of becoming major leaguers, or “dream interpretation” proffered by people who have graduate degrees in utter hogwash. Many websites are just cut-and-paste jobs from other sites, complete with poor punctuation, terrible spelling and the sort of singular insight that suggests a “pitch that is green indicates masculine aspects.” A pitch that is green, you say? — what, it composts its coffee grounds and drives a Prius? In an unwitting demonstration that, even on Wikipedia, Jungian archetypes are waaaaaaaaaaaaaaay too difficult to understand, other such sites directly contradict one another with regard to the true meaning of baseball dreams. Indeed, whatever their origin, the sites bear one thing mostly in common: They traffic in the sort of armchair psychobabble that aspires to unassailable self-help, which, if wielded correctly and without hesitation, will turn each disciple into a titan of industry or a winner of So You Think You Can Dance. Absent from their oneirocritical guidance, however, is what it means to dream that Kirk “Gibby” Gibson is opening a batting cage in Johnson City, Texas, home of the World’s Best Chicken-Fried Steak. If resurrected today, the ancient Sumerians would insist that the Gibby dream is key to divination, meaning, most likely, that Kirk Gibson really is planning to open a batting cage in the Blanco County seat. Not to be outdone, the Assyrians would rate the Gibby dream, like all dreams, either good or bad, and thus ascribe its nighttime delivery to either the Assyrian gods or the Assyrian demons, those no-good rascals. One assumes that under that scenario, the demons have foreseen that Gibby will place some machines on the Don Drysdale Chin Music setting, some on the Bob Gibson Brushback Pitch setting and the rest on the Randy Johnson Versus John Kruk In The 1993 Midsummer Classic setting. For their part, the classical Chinese were first to say, “Uh, how do we know we’re dreaming? How do we know the ‘dream’ isn’t real life and ‘real life’ isn’t the dream?” Not only does this make one wonder how to say Inception in Mandarin, it makes one question if Gibby has already opened the batting cages in Johnson City and, further, if health inspectors have slapped the Double Fist Pump Homer Emporium & Gift Shop with a score of 70 for storing the Brushback Pitch too close to the Kruk. Modern cultures, too, have pondered the meaning of dreams. Famously, Sigmund Freud restored oneirology to respectable status by declaring that all dream content is a subconscious expression of wish fulfillment. What this means for me, apparently, is that I’ve long wished Kirk Harold Gibson would open a batting cage in a Central Texas town where Lyndon Baines Johnson launched his first campaign for Congress. Call me conventional, but that seems a pretty strange wish. Nothing against Gibby or his perpetual three-day stubble, but unless the batting cage were to offer free Shiner Bock after 5 o’clock, that’s just not a wish I would ever have. Seriously, I wouldn’t dream of it. I can tell you this: Baseball, as a game played both outside and inside the cranium, has re-entered my dome on many occasions, often at night and on the wings of good old Morpheus. Not once, however, have I dreamt the quintessential dream, the one with softened edges and ethereal light. Nope, not once has REM sleep produced the game-winning homer and its Hollywood aftermath, a jubilant ride on happy shoulders and a wink from the girl I could not have got. Nor have I dreamt the opposite. Nope, not once have I suffered limbic visions of booting the bases-loaded grounder in the bottom of the ninth, an error that sends us moping back to our vans. Instead, the baseball dreams I’ve had — and still have — center most often on a separate kind of failure. In them, I step to the plate without a bat, or with a bat that turns to jelly. I step onto the field without a glove, or with a glove that turns to mush. Once, I dreamt I’d forgotten my spikes. Deem it déjà vu. One night, back in a summer league, it really happened. I played that game in tennis shoes, and let me tell you, there’s a reason they call ’em tennis shoes. One morning a few months ago, I suffered the most distressing baseball dream I’ve ever had. In it, I arrived in time for my high-school ballgame. This, in itself, seemed an achievement. In many of my dreams I arrive too late to play, my tardiness having taught the worst of all life lessons, but on this occasion I arrived on time or even early. All the guys were there, all my teammates and pals. Granted, I didn’t recognize them, per se. I didn’t see Joe or Trent or Hudson or Jamie or Alan, but in dream space they were my friends. I could feel it. Contemporary oneirology, which examines the neurological rather than metaphysical components of dreaming, has labeled this phenomenon “disjunctive cognition.” The dreamer recognizes the character even if that character does not resemble his real-life counterpart. So there I am, glove in hand and ready to play some ball, but, as I approach my teammates, they walk away. Confused, I step closer, but with each step I take they move farther and farther distant. Soon they begin playing catch, talking and laughing as the balls go back and forth. Still, I can’t quite reach them. It’s as if they’re on the other side of a glass pane, but no such window exists. There is nothing solid between us, no barrier that I can feel or even detect, but still they are out of my reach. In time they jog to the field. I look on, from the edge of the diamond, as my friends and teammates begin the game. Somebody’s out there at shortstop, but he isn’t me. I don’t recognize him. Who is that guy? I’m telling you, he isn’t me. I am not his real-life counterpart. Sigmund Freud was no dummkopf, but by a modern reckoning his ideas came up short. I mean, wish fulfillment? No disrespect, Herr Doktor, but nobody is yearning to stand aside, glove in hand, while watching his buddies play ball. I suppose a generous interpretation would suggest that my wish, embodied by my place in the dream, is simply to partake of the American Pastime; external forces, alas, have conspired to deny me my rightful position on the field of play. But if that’s the case, call it wish suppression. Call it wish rejection. Fulfillment is an image unfounded. Freud’s greater contribution was to drag oneirology from the realm of the supernatural, wherein nimble gods and demons infiltrated a good night’s sleep, to the realm of psychoanalysis. In short, he pioneered the notion that dreams, rather than being a form of supernatural communication, are simply an unconscious processing of thoughts, memories and emotions, the existential residue of a day in the life. It seems a simple notion now, and pretty obvious, but back in ancient times, when people were sleeping in “dream incubators” in efforts to commune with the night-owl gods, that sort of rational analysis might not have been imagined. Carl Jung, a successor to the new science, expanded on his Freud’s ideas by suggesting that dreams, as a function of the psyche, reflect the complexity of the human condition by accounting for both the individual and collective unconscious. All people, he suggested, share equal access to universal prototypes — timeless images — that derive from a sort of human hive mind. Among these universal symbols, and especially active in dreams, is the Shadow. And the Shadow, I now suspect, did not wish me to play shortstop. Life is simple. You wake up, grab some coffee and go about your business. Life is also hard. You work all day, grab some grub and try to go to sleep, hopeful that the “demons,” as we colloquially call them, don’t keep you up till the wee hours by bringing to mind all your failures and disappointments. I love baseball. I haven’t fielded a grounder in years, but somehow I still feel that hard ball in that soft pocket, a sensation that millions of people have shared but that still seems personal, all my own. I haven’t hit a ball in forever, but the pillowy feel of solid contact is still running through my arms as if an archetype itself, something so accessible to a world of experience that it predates my birth and will outlast my life. 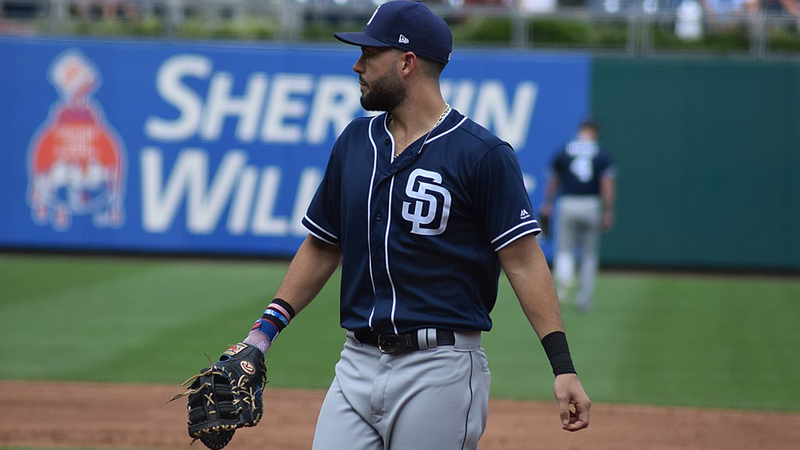 The “demon,” perhaps, is that not only do I not play baseball, not only must I rely on the ghosts of old ground balls and the leftover specters of line-drive doubles, but that I didn’t play ball as long as I should have. There is something left in my baseball life, something that lingers just out of touch and thus always out of reach, and so there is nothing left at all. It’s gone. I don’t play baseball anymore, and I think I feel it. I can’t play baseball anymore, and I feel I think it. Even at night, in the dark, while wrestling with a shadow whose alarm goes off at midnight, I think about baseball. I dream about the game in a pre-dream way, in wakefulness, just before “synaptic efficacy refreshment” comes to send my thoughts to a limbic jurisdiction where the dream and the dreamer are directed, without choice, into their darkness. It is from that darkness, though, that other dreams may come. And according to a report from REM sleep, where brain waves firing at 14 Hz conjured up a bright idea, Kirk Gibson is opening a batting cage in Johnson City. Turn west at the junction of 281 and 290, just across from the Hill Country Cupboard, and you enter downtown Johnson City. On the town square is a brewpub called Pecan St. Brewing. Opened in 2008 in the old Blanco County Supply and Hardware, it faces the limestone edifice of the Blanco County Courthouse, built in 1886. Near the brewpub biergarten, where you can savor the “flavors of citrus and pine offset” in the Road Devil Red, or the “toasty caramel and a hint of sweetness” in the Ten Penny Nail Ale, stands a brown wooden wall adorned with various mementos. Among them is a newspaper clipping, framed behind glass, headlined “Eagles Win State Championship.” Just beneath the headline, a horizontal photo shows the maroon-clad Eagles posing with their trophy and championship medals. Exactly 10 miles west, after you’ve gone past A. Smith Gallery and turned right at the Black Spur Emporium, is the little town of Hye, population 105. There, standing beside the Hye Meadow Winery, the refurbished Hye Market offers among other menu items a naan bread pizza with a house-made pomodoro sauce. It’s also key, we agreed, to stealing bases. “Oh, I was quick,” the sinewy postmaster said. He stood from behind the counter and ushered me to the far side of the store, past the belts and shoelaces, to a brown wooden wall. On it were old newspaper clippings detailing the exploits of the team for which Levi played in the early to mid-1900s. It consisted entirely of Levi and his eight brothers. One clipping included a horizontal photo, black and white, of the nine Deikes. 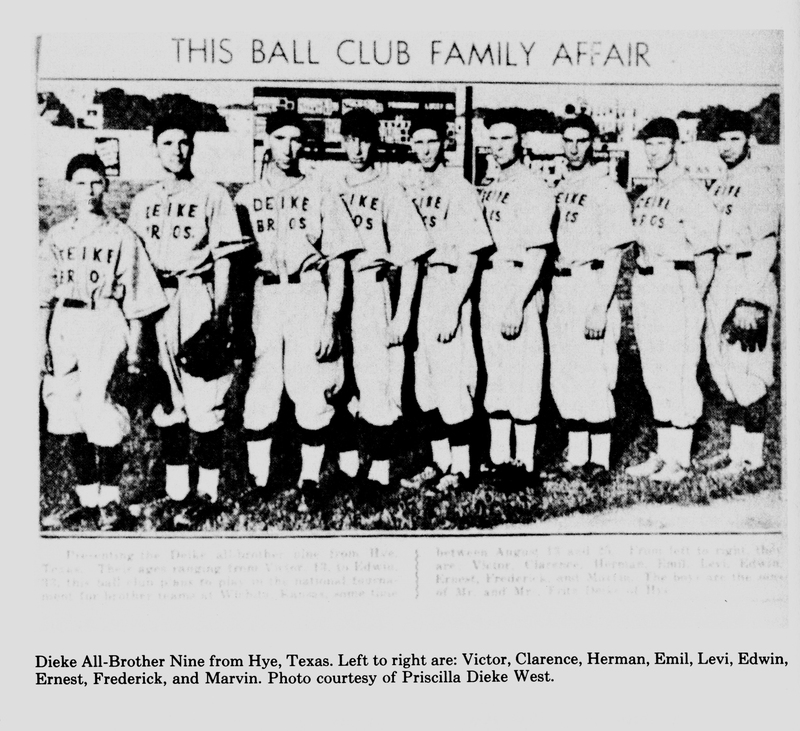 Their jerseys — light with dark lettering — read “Deike Bros.” In 1935 they gained national fame by playing an exhibition game against another team of brothers, the Stanzak lads of Waukegan, Ill. The Deikes lost, 11-5. The reason? It was the first time they’d played under lights, Levi told me. Plus, brother Marvin’s curveball just wasn’t snapping. Otherwise, he said, it was a memorable experience for the Deike nine. Only occasionally, he added, had a tenth fella played for the team — gangly kid, born just down the road. Couldn’t hit a lick but not bad at first base. Might’ve been a pretty good player, with practice, but he was always busy, always had something to do. Today, I wonder if LBJ ever dreamt that his teammates were just out of reach. So one morning I wake up, get out of bed and go outside to the sunlight. The screen door slams behind me. It is not a familiar door. Upon fixing my eyes to the light, I walk across the lawn toward the street. It’s a lawn I’ve never seen, with grass like an infield’s, thick and green. Just beyond the curb are several people in lawn chairs. To their right is a red pickup truck. I’ve never seen it. I pivot to the street, just at the curb. A man in one of the lawn chairs turns and smiles. He is Mike Trout, baseball player. I kneel to eye level and say, “Mike Trout, if you’re not here to play the Rangers, why are you here?” Moments hence, I wake to the real world once again. a) If, tonight, or some night in the near or distant future, I dream that Randy Johnson is dreaming about you, I’ll be sure to let you know what he thinks. Very curious, where did you get the header photo from, and can I have a link to it? Like pretty much every writer, I don’t choose the header pix. If I did, each would be a photo-shopped image of yours truly summiting Mt. Everest in flip-flops while toting a half-finished six-pack of the aforementioned Shiner Bock. That question would best be answered by the editor. So I’ll shoot an email to said editor and perhaps said editor can answer your question in this space. I am a writer for another site, so I understand the whole deal with the editor choosing the header photo. 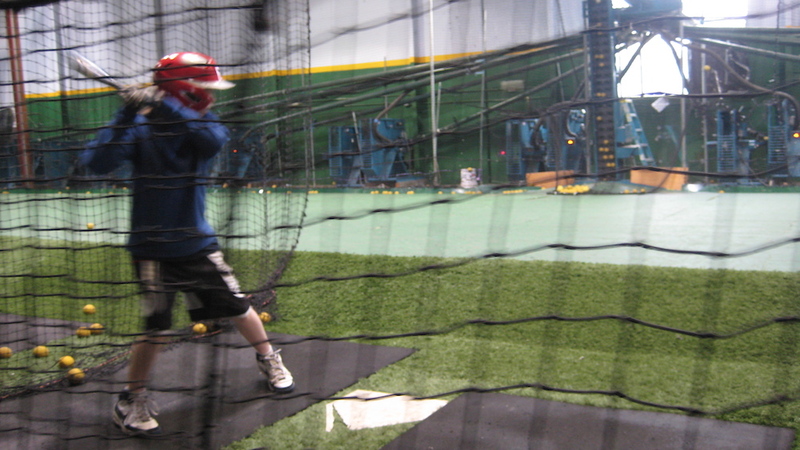 I was just curious about the photo, since I recognize that batting cage, it’s a local one that I used to hit at often when I was in Little League, and I was wondering how it ended up on Fangraphs. Sadly, they’re named after David “Dave” Eckersley, who passed away in a tragic Wiffle ball incident. I told him not to eat it. Great article. Although it is a common misnomer, Johnson City was not named after an LBJ family member. LBJ just told people that according to Robert Caro, who is the definitive LBJ source.